This is Atlas, a beautiful and bashful little boy. Atlas was born in July of 2015, and we are looking for his forever family. Atlas’ caretakers describe him as quiet with a shy demeanor. He loves to be snuggled and held. When an update was prepared for his file in November of 2016, Atlas could hold his head up while lying on his stomach. He could grasp his toys and hold them close. He could also roll over onto his stomach. Atlas can pronounce and mimic sounds spoken to him. He can visually follow moving toys, and he can locate the direction of the sound of someone’s voice. 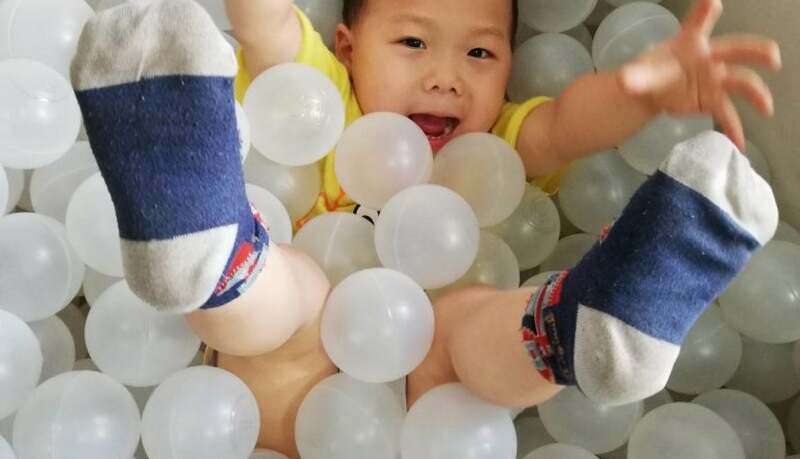 Atlas is diagnosed with developmental delays, and he needs a forever family who will love and care for him, as well as support his special needs. If you would like more information about Atlas, please contact McKenzie Garrison at McKenzie@newbeginningsadoptions.org. Meet Mandi, an adorable little girl who needs a forever family. Mandi was born in September of 2016. 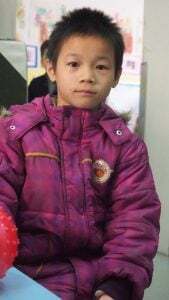 She was abandoned at approximately one month old, and she has lived in the orphanage since that time. Mandi is described as adorable and active by her caretakers. She loves peering into a mirror and smiling at her reflection. Mandi absolutely loves being held and teased by her caretakers. She enjoys waking up and watching the sun rise. When an update was prepared to her file in 2017, Mandi could raise her head when lying on her stomach and turn over. She loves to lie on her back and grasp her toes. Mandi could also grasp a pen or pencil. Her caretakers state that Mandi can cry and express when she is hungry or needs something. 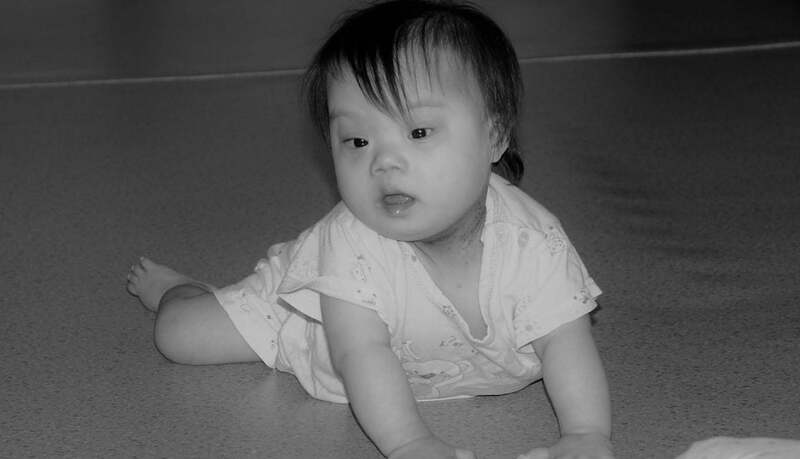 Mandi is diagnosed with Down’s syndrome and Congenital Heart Disease. 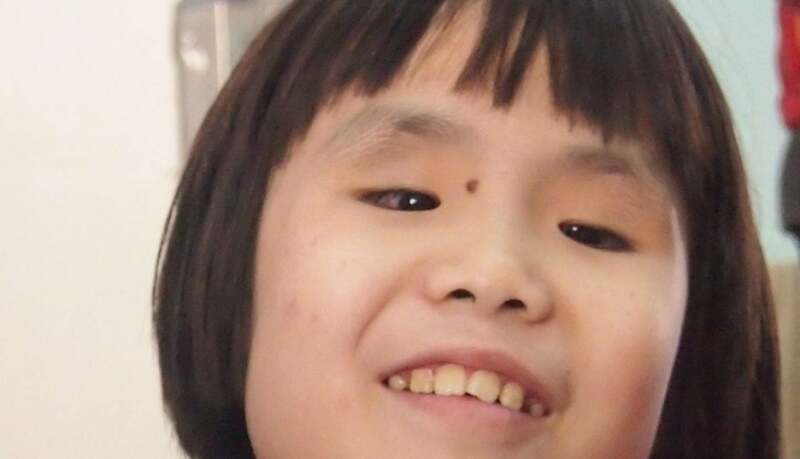 Mandi does have special needs, but her greatest need is a forever family. Could that be you? If you are interested in more information about Mandi, please contact McKenzie Garrison at mckenzie@newbeginningsadoptions.org. Meet Elton, a cute and curious little boy! Elton was born in November of 2014. He is known by his caretakers for his loud laughter and great big smile. Elton is very playful. He enjoys playing games and being silly with his peers. His caretakers described him as extroverted and adorable. When an update was prepared in 2016, Elton was walking with his hand held. He could also stand on his own. Little Elton loves listening to music. He loves swaying and dancing to the music his caretakers play for him. He enjoys coloring, and he can grasp a crayon and draw on paper with it. 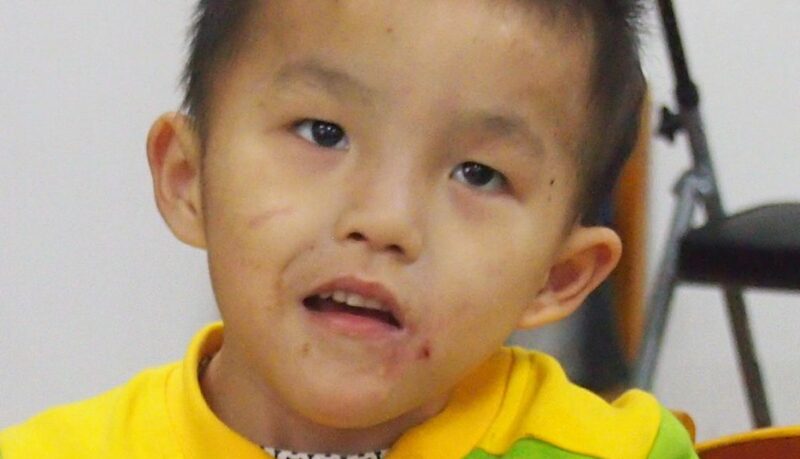 Elton is diagnosed with a facial hemangioma and Duchenne muscular dystrophy. In Elton’s 2016 update, his facial hemangioma had receded and was almost nonexistent. 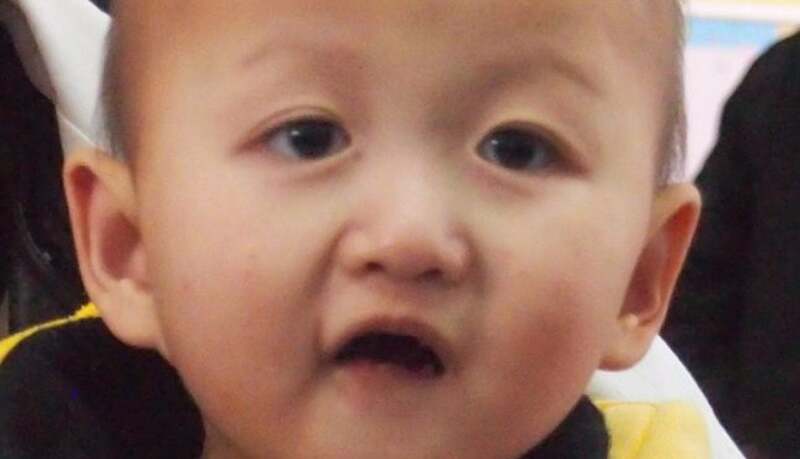 This child needs a loving forever family – could that be you? If you would like to learn more about little Elton, please contact McKenzie Garrison at McKenzie@newbeginningsadoptions.org. Get ready to fall in love, because Luka steals the heart of anyone he’s around. Luka is an attentive and intelligent little five-year-old. Little Luka was born on December 24, 2011, and he was assessed by the New Beginnings Team on November 8, 2016. Luka loves music. 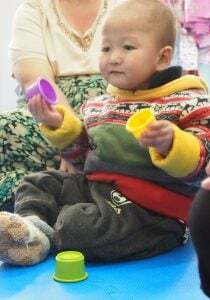 The New Beginnings Team loved watching him tap his little hands and feet to the rhythm of a song. 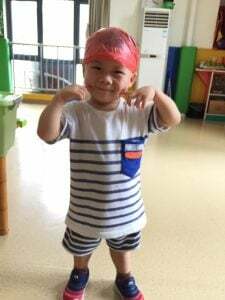 The orphanage staff believe that Luka is a very bright child. He could point out and identify various fruits in a picture book. Luka also enjoys imitating what other people say. He even spoke a few english words to The New Beginnings Team. Luka has a playful spirit, and he loves interacting with others. 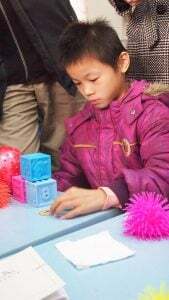 He was very polite and cooperative while sharing his toys with other children in the orphanage. Some of Luka’s favorite toys are a wire-bead maze, a stuffed monkey, and stacking cups. 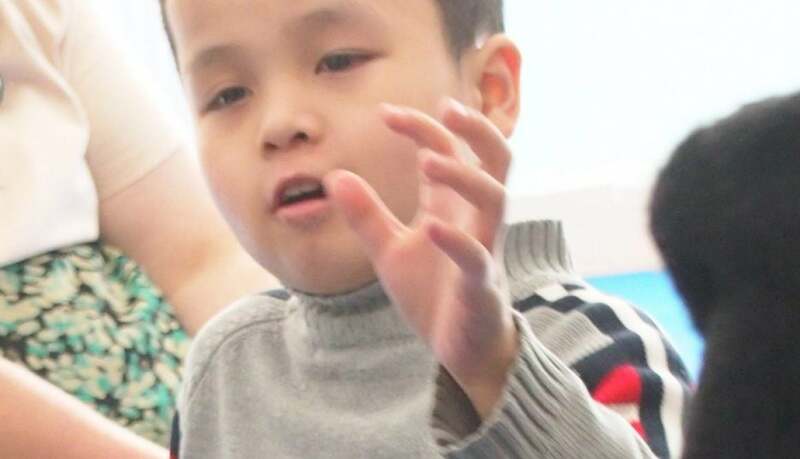 Luka has cerebral palsy, a hand deformity, and hydrocephalus. 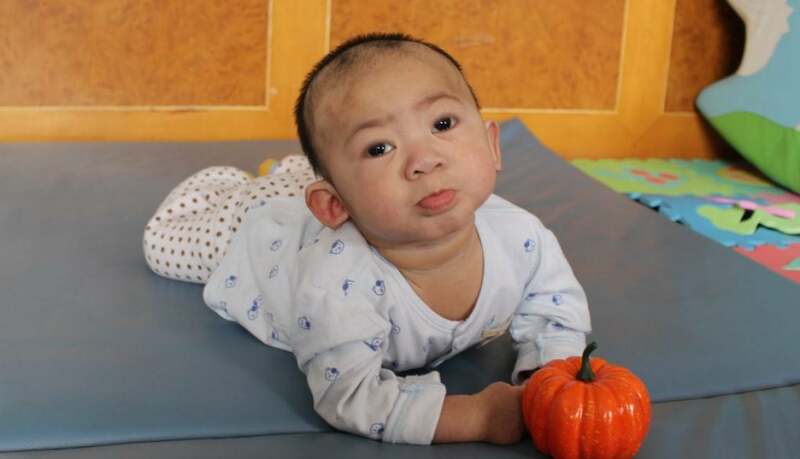 Although these conditions cause him to have medical needs, his greatest need is a forever family. Luka needs someone who will love him unconditionally and enable him to live a happy, productive life. Do you think Luka would be the perfect fit to your family? 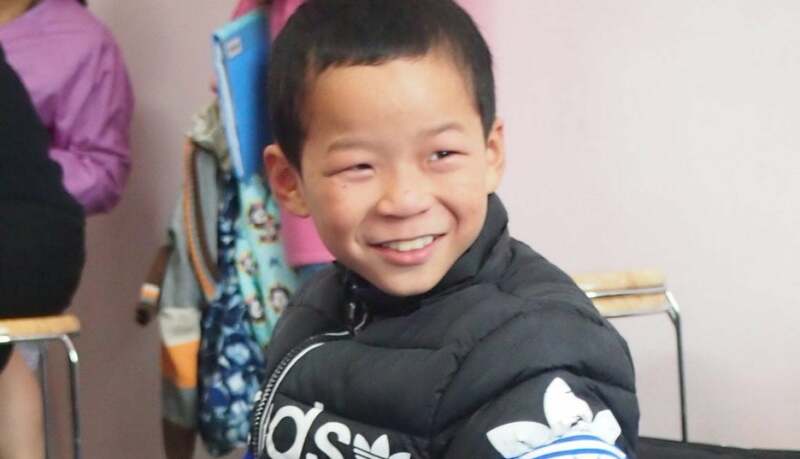 If you would like more information about Luka, please contact Amanda at Amanda@newbeginningsadopitons.org. This is Ocean, an eleven year old girl with a happy-go-lucky personality. Ocean was born on August 20, 2005, and she was assessed by The New Beginnings Team on November 9, 2016. Sweet little Ocean is blind, but she has learned to adapt to her surroundings despite her condition. While walking around the room, she would shuffle her little feet to feel the edges of the playroom in order to guide her way. 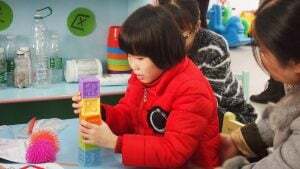 She also loved stacking blocks and then counting them. Ocean has an adorable laugh, and she loves to sing. The New Beginnings Team enjoyed listening to her sing little songs for them. Ocean has a good memory and is a very quick learner. She could recite several TV commercials when they came on the TV. Ocean loves toys with interesting textures, and her favorite toy is puffer balls. She loved to squish them and roll them around in her little hands. Despite Ocean’s condition, she is a strong, happy, and beautiful child that enjoys interacting with others. 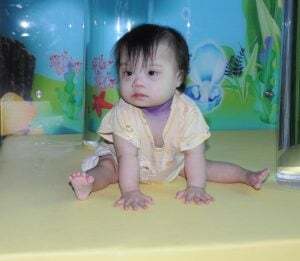 Although Ocean’s condition causes her to have medical needs, her greatest need is the love and affection that only a forever family can provide. Ocean needs unconditional love, as well as someone who can support her medical needs and allow her to live a happy, productive life. Ocean is a very special girl, and she needs a forever family. Do you think Ocean is the missing puzzle piece to your family? If you would like to learn more about Ocean, please contact Amanda at Amanda@newbeginningsadopitons.org. Could Willow be the missing piece to your family? Willow is a twelve-year-old active and happy child. Willow was born on May 21, 2005, and she was assessed by the New Beginnings Team on November 10, 2016. Willow absolutely loves giving and receiving hugs. Willow has an abundance of energy. The New Beginnings Team loved watching her hop, dance, and jump across the playroom. 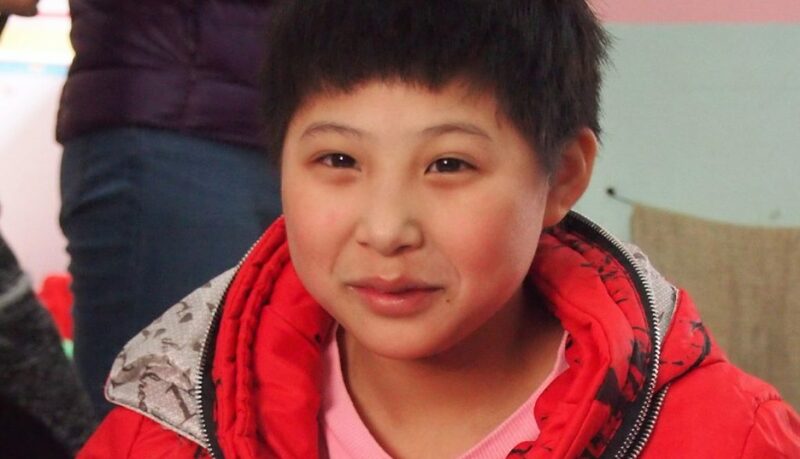 Willow has such a happy soul, and she played very well with the other children in the orphanage. She loved bouncing a ball back and forth with several members of the New Beginnings Team. Willow has beautiful choppy bangs, and she loves to wear stickers on the backs of her hands. Willow’s favorite color is green. Willow has microcephaly and cognitive delays, but she is able to write her name, as well as speak clearly and fluently. Willow’s greatest need is a forever family. Willow needs someone who will love her unconditionally, support her needs, and enable her to live a happy, productive life. Do you think Willow is the perfect match for your family? If you would like more information about Willow, please contact Amanda at Amanda@newbeginningsadoptions.org. Piper has found her forever family! This is Piper, an outgoing ten-year-old with a contagious grin. Piper was born on November 12, 2006, and she was assessed by the New Beginnings Team on November 10, 2016. Piper has a very friendly and outgoing personality. She loved chatting with the orphanage staff, as well as the children around her. Piper loves the color red- red toy cars, red bouncy balls, and red blocks are her favorite. Piper loves hugs, and The New Beginnings Team loved wrapping her up and holding her. The New Beginnings Team fell in love with her spikey short hair and sweet grin. Piper has a very kind nature. She always shared her snacks with the other children. Piper is also a quick learner, according to the orphanage staff. She liked to sit in front of the TV and imitate what the people on the screen were doing. Piper has an ankle joint disability and agenesis of the corpus callosum. However, Piper’s greatest need is a forever family. Sweet little Piper needs a family that will love her unconditionally, support her, and enable her to live a happy, productive life. Do you think Piper is the missing puzzle piece to your family? If you would like to know more about Piper, please contact Amanda at Amanda@newbeginningsadoptions.org. This is Ruby Rose, a precious little five-year-old with a playful nature. Ruby Rose was born on May 18, 2012, and she was assessed by The New Beginnings Team on November 10, 2016. Ruby Rose perfectly represents Proverbs 3:15, because she truly is “far more precious than rubies.” Although she cannot speak, Ruby Rose loves to softly hum under her breath. She was very happy to meet and play with the New Beginnings Team. She especially enjoys playing with puffer balls. Although Ruby cannot walk, she loved crawling around the playroom. She especially loved when The New Beginnings Team would hold her little hands so she could stand up with support. Ruby Rose has cognitive delays, but she was able to stack several colorful cups together. The most important thing she needs right now is a forever family. Ruby Rose needs some who will love her unconditionally, support her medical needs, and enable her to live a happy, productive life. If you would like more information about Ruby Rose, please contact Amanda at Amanada@newbeginningsadoptions.org. This is Sylas, a bouncing 11-year-old who loves staying active. Sylas was born on May 1, 2006, and he was assessed by The New Beginnings Team on November 10, 2016. Sylas is very outgoing. He loved to act silly in front of the New Beginnings Team. He loved showing them his tricks, like balancing on one foot and hopping around. Sylas has a cute little imagination. He enjoyed racing toys cars across the playroom. Sylas’ favorite foods are fruit and milk. Sylas also likes to draw. When he was coloring with some of The New Beginnings Team members, he drew hair on the stick people they were drawing. Sylas has hydrocephalus. While this condition requires medical care, Sylas’ greatest need is the love and care that only a forever family can give. Sylas needs unconditional love, as well as someone who will support his medical needs and enable him to live a happy, productive life. Sylas could be the perfect match for someone’s family. If you would like more information about Sylas, please contact Amanda at Amanda@newbeginningsadoptions.org. Meet Louie, a bashful and bright-eyed little boy. Louie was born on August 16, 2007, and he was assessed by the New Beginnings Team on November 9, 2016. Although Louie does not speak, you can always tell what he’s thinking with his inquisitive and curious facial expressions, not to mention he has a smile that could make you melt like a popsicle on the fourth of July. This little nine-year-old has a heart of gold. The orphanage staff gushed about how he helped pick up toys and clean the playroom at the end of the day. The New Beginnings Team fell in love with little Louie and his shy spirit. Louie adores looking at the photos in picture books. Louie has low IQ and cognitive delays, but he was able to link several monkey’s arms together with the “barrel of monkey” toy. Louie needs a forever family. He needs someone who will love him unconditionally and give him the opportunity to live a happy, productive life. 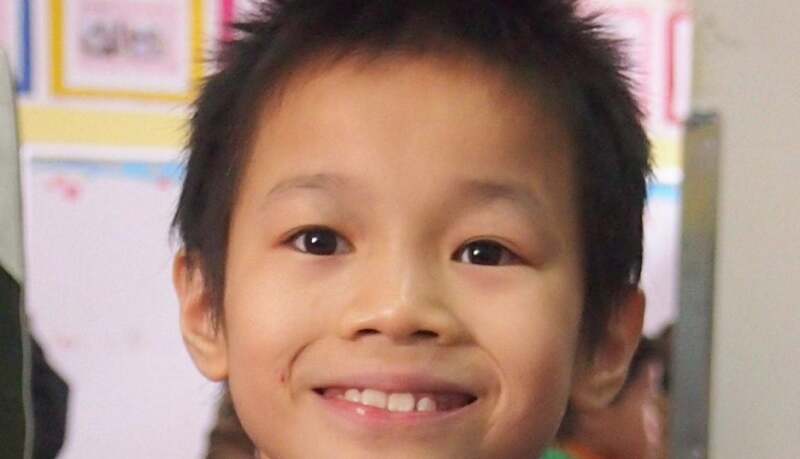 If you would like more information about Louie, please contact Amanda at Amanda@newbeginningsadoptions.org.